So I've been getting Legends Masterpieces a little bit more often now... it's a product that I find enjoyable to open and that has good quality. The base cards all have that canvas feel to them, and it is possible to find hits in these old blasters. In fact, I pulled a jersey out of one in a past Retail Review. I hope even better things can be found in these old boxes. Now that I've opened up a few of these blasters I feel that I know what to expect out of them. 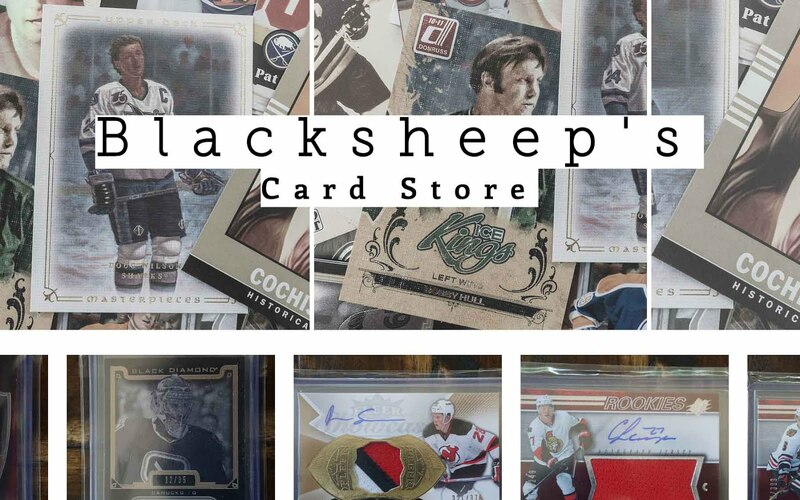 Getting superstar NHL legends out of this is very easy as that's really all this set focuses on. 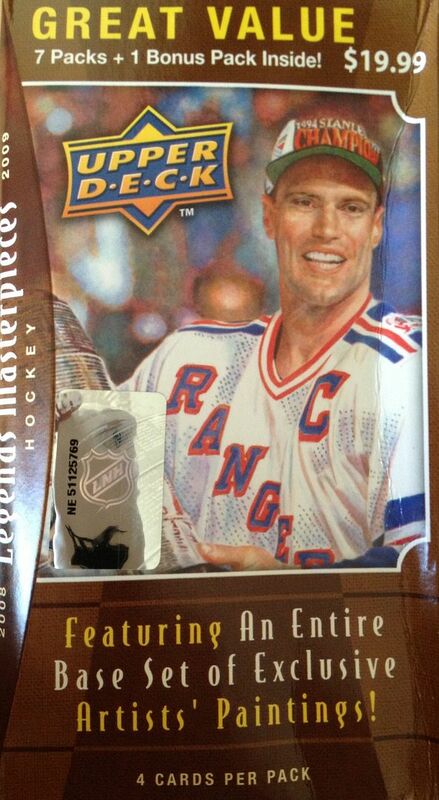 Collectors who buy this will find Gretzky, Lemieux, Howe, and others in that elite category. This set highlights their best moments in a very artistic way. According to the side of the blaster, memorabilia cards come 1:24 packs while autographs come 1:240. Those odds aren't terrible so hopefully I will be able to pull a hit from this blaster box. Unfortunately, I wasn't able to pull a hit this time... but there's always the next box! As I thought, this blaster contained a good amount of legends cards. 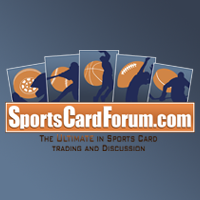 One card that seems to be following me is Lord Stanley. I pull that card almost every time I purchase this product it seems. Though there have been some doubles, I haven't tired of looking at the great artwork on these cards and then reading the little write-up on the back to see what that moment in history was all about. These cards do provide a good historical background of the games biggest moments. 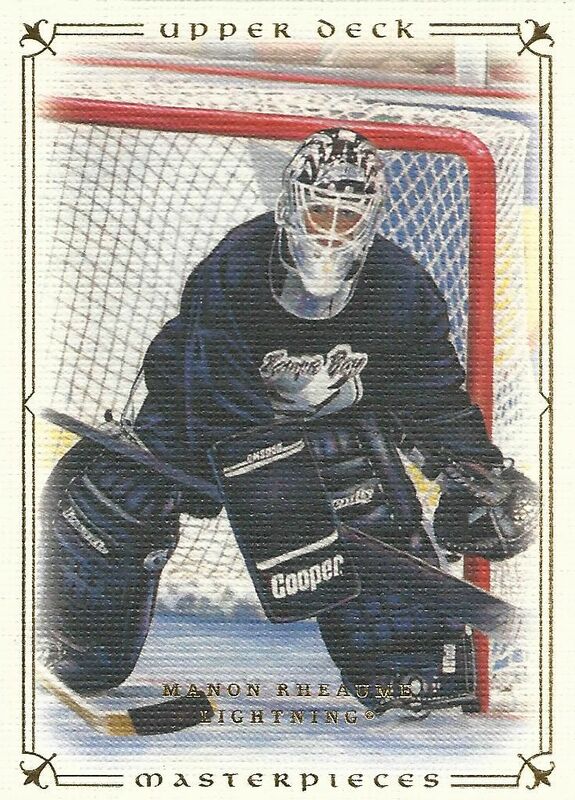 I will always enjoy pulling Rheaume's cards. She was such a big deal back in the 90's, and I thought it was awesome being able to pull a woman athlete in my packs. As a kid, I'm pretty sure I had a crush on her! Wilson is the current GM of the Sharks and a former player. 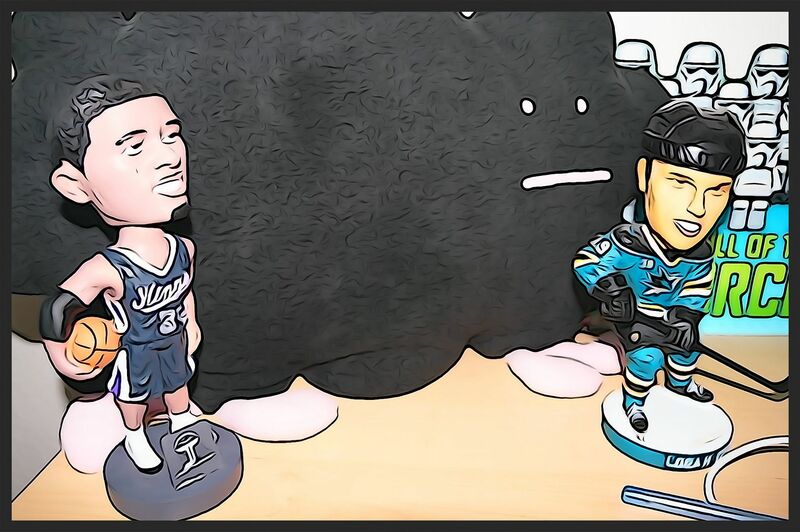 Fans have at times questioned his moves, but he was a key component of getting the Sharks to the Stanley Cup Finals this year. 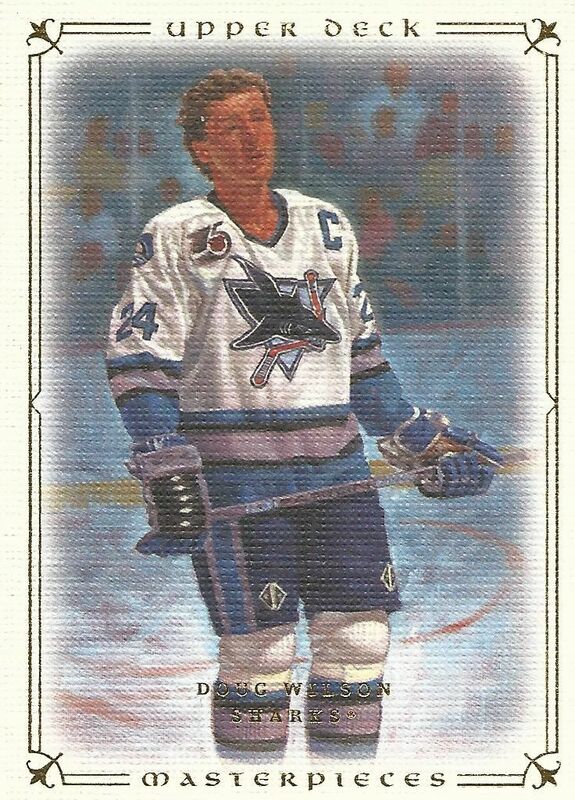 I'm still looking for an autographed card of his with him in his Sharks gear. Kings legend Marcel Dionne was the only insert/parallel card from this blaster so I gave it the top spot in the top three. 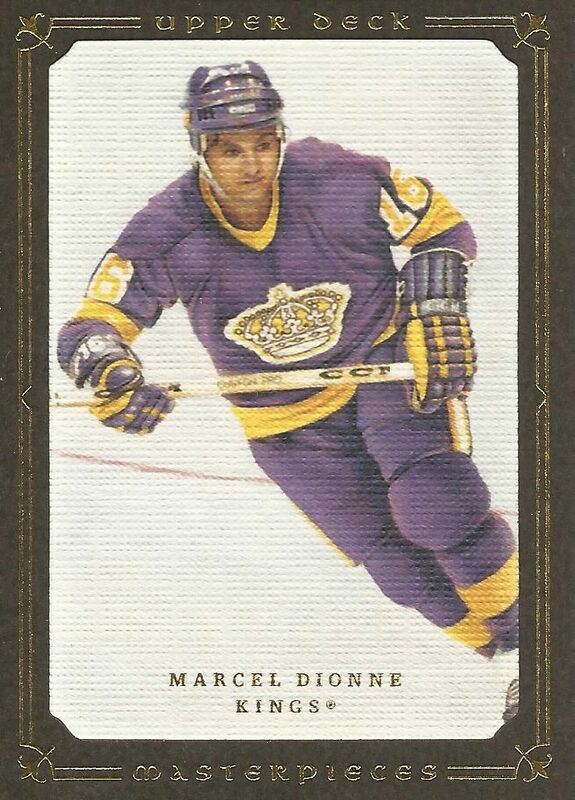 Though I'm not a LA Kings fan by any stretch of the imagination, I do like their old purple jerseys with the huge crown on the front shown on this card. That's a pretty sweet retro look. I definitely struck out in terms of wanting to get a hit out of this blaster. But getting a stack of legendary players isn't a bad thing... plus the card are very high quality. So spending the ten bucks on this blaster wasn't a total waste to me. The enjoyment factor was there. I do, however, hope to do better with my next box of Legends Masterpieces - whenever that is! A solid must buy every year for me... love on card autos. Always leaves me wanting more though.. hard to be satisfied with one pack/box.